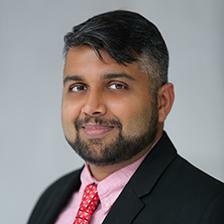 Kartikeya Singh is deputy director and senior fellow of the Wadhwani Chair in U.S.-India Policy Studies at CSIS. His research interests include climate change and energy policy, innovation, and the geopolitics of energy use. Dr. Singh has travelled from the Antarctic to the Arctic exploring the challenges of energy geopolitics in a changing climate. His work has allowed him to field-test and deploy clean energy technologies, including electric vehicles and off-grid solar solutions in India and Uganda. His ability to create networks and foster cross-sectoral partnerships started with the founding of the Indian Youth Climate Network (IYCN), a nonprofit designed to build a national movement to drive India to lead the clean energy revolution. From 2009 to 2012, Dr. Singh served as an adviser and negotiator on behalf of the Republic of Maldives at the UN Framework Convention on Climate Change, focusing on mitigation and technology transfer. He also used his experience in the intergovernmental negotiation process to train diplomats and other government officials on climate change negotiation and renewable energy technology deployment. In addition, he has served on the external advisory committees focused on sustainability for major corporations such as Électricité de France and LafargeHolcim. At CSIS, Dr. Singh is charged with leading the Wadhwani Chair’s work on India’s states, including a new project on energy. Prior to joining CSIS, he worked at the U.S. Department of Energy supporting and managing U.S.-India and U.S.-Pakistan bilateral energy cooperation. Dr. Singh received his B.S. in ecology and sustainable development from Furman University, his M.E.Sc. from the Yale School of Forestry and Environmental Studies, and his Ph.D. from the Fletcher School of Law and Diplomacy. He is the recipient of several national awards, including the Morris K. Udall Scholarship, the Switzer Fellowship, and the Boren Fellowship.